Pokémon Go is taking over the world, and while it's a lot of fun to go out and capture Pokémon, the app is a big drain on battery life, as many Pokémon Go players are finding out. If you're getting frustrated by your smartphone dying while playing Pokémon Go, then read on to find out how you can save the battery life of your phone while hunting for Pokémon. If you haven't downloaded Pokémon Go yet, check out our guide on how download and play Pokemon Go right now. Thankfully it's pretty easy to eke out more battery life, thanks to Pokémon Go's battery saver mode. 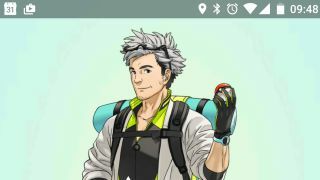 To enable the battery saver mode, open up the Pokémon Go app, and then tap on the "Setting" button on the top-right corner of the screen. Scroll down the menu until you see 'Battery Saver'. Tap it to select it (a tick will appear), and then you can turn your phone upside down, which will dim the screen. This will save precious battery life while you play Pokémon Go. Turning off sound effects, music and vibration will also help keep your battery from draining too fast. Pokémon Go uses Google Maps to pull the world data to your smartphone, and while you're out and about this uses your data connection, which in turn drain your battery while playing Pokémon Go. However, you can download Google Maps for offline use, which will improve the performance of Pokémon Go. To do this, open up the Google Maps app, select the Settings menu (shown by an icon with three horizontal lines) and tap on 'Offline areas'. If all else fails you can buy a battery pack to keep your smartphone topped up while you play Pokémon Go. Portable power packs can be charged separately, and then plugged into your phone's USB or Lightning port to charge the battery when needed. It could be a real life saver if you're about to take on a Gym in Pokémon Go!